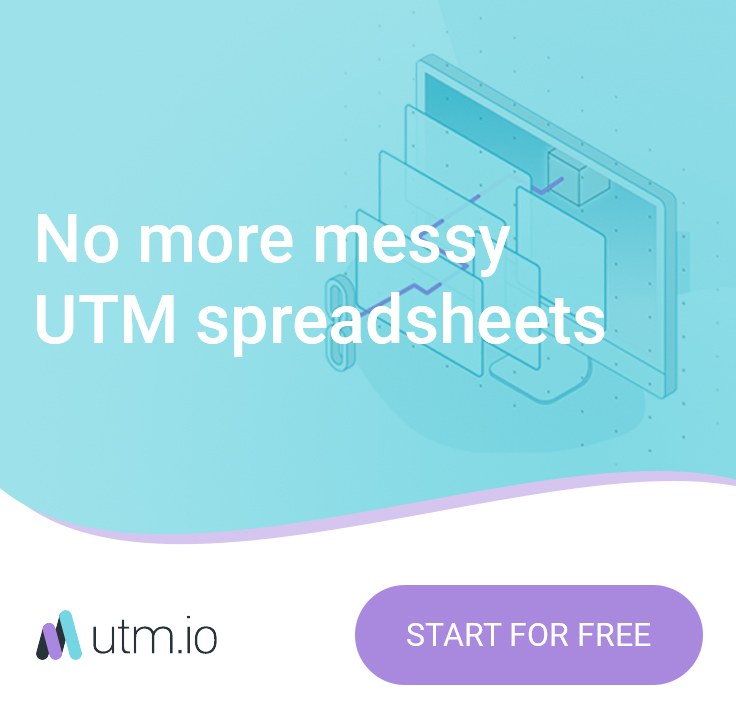 Thanks for suggesting a slew of new features for UTM.io. We have been busy building some of the most requested features and are looking forward to building even more. If you ever have feedback please shoot us note at help@utm.io and if you want to submit new feature ideas please visit us on our Trello Feature Board. This past month we launched many features, squashed bunches of bugs and scoped out what the next few months of features may look like. We have increased the number of templates you get across all plans, 10 per project. You can set up 1 custom branded domain on the $7 plan, 10 custom branded domains on the $37 plan, and 50 on the $147 plan. New pricing plans are coming soon! So act now and take advantage of our generous plans. If you have a branded short domain you can use it to shorten your links with UTM.io and you can do this all on your own now. You can also set a default redirect for your branded short domain which will direct users to your preferred domain if someone types in just the domain without a /path. You can now easily add and remove unlimited members from your account. Assign them to projects from this page, and give them member or admin permissions. See who has access to your project from the member admin. Add and remove members as needed. Mass Transfer or Mass Delete Links: You can now multi-select links in your account and transfer them from one project to another, or mass delete them. The UTM Chrome Extension no longer requires you to be signed in, or to sign up to use it. Build unlimited UTM links for free! If you have things you want us to build or fix, just let us know. We would love to see your vote up new features on our public roadmap. If you ever have a bug, just reach out to help@utm.io. We can’t wait to help you improve your campaign tracking!